Hartnell is known for many things – his dominant play, his charisma, and yes, his tendency to occasionally fall during games. 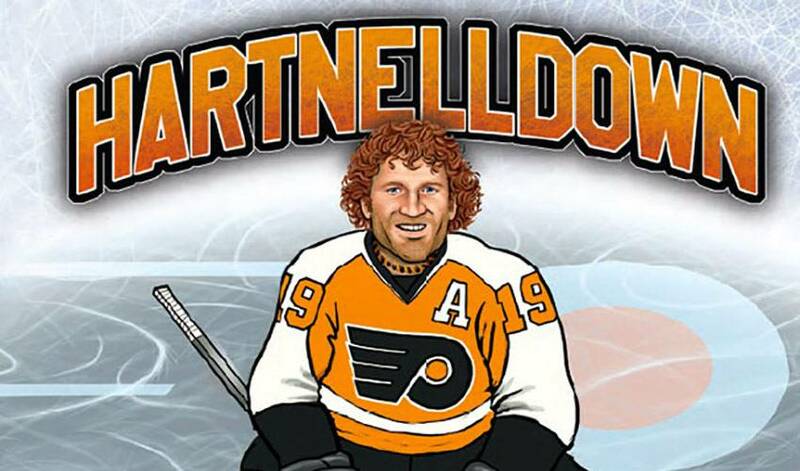 In early 2012, Hartnell decided to leverage the popularity of the #HartnellDown hashtag for a good cause, creating the #HartnellDown Foundation, which raises funds for charities that support hockey, children, and communities across North America. The foundation’s website features a counter that tallies the total times Hartnell has fallen per season. He donates $50 for every fall. At the time of writing, Hartnell has donated $5,550 for the 2013-14 season so far. Hartnell has always enjoyed working with children’s charities, and took his efforts one step further this summer by teaming up with his sister, Kyla Hartnell, to pen a rhyming children’s book entitled, ‘Hartnelldown.’ The book tells the story of Hartnell’s journey from his backyard rink all the way to the NHL – highlighting all the falls along the way and his ability to always get back up. If you’re looking for any last minute holiday gift ideas for the hockey-lover on your list, this would make any fan happy. All proceeds from book sales will go directly to the foundation. “@ConnorHarfield: #AskHartnell @NHL who was your favourite player growing up?” I loved watching Cam Neely!!! Big and strong!! “@MatteoStaltari: @NHL @Hartsy19 favorite pre-game snack? #askhartnell” I always have a bowl of cereal-Lucky Charms! !